PRODUCT DESCRIPTION: Rod like device which is poked through the surface of tunnels so that a small amount of bait can be released. 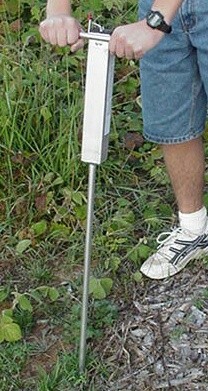 The use of the applicator allows you to treat large fields and areas where gophers are active without having to dig. This treatment technique also prevents damage to the tunnel which can lead to collapse and contamination of the bait. WHERE TO USE IT: Along tunnels and burrow systems of active gophers.